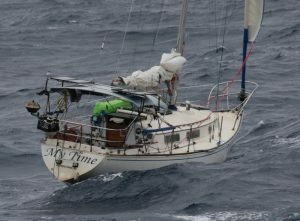 INITIAL FINDINGS: Simon Speirs was using a three-point webbing tether attached to the integral harness of his lifejacket that allowed him to clip on to the yacht with a short or long tether. A safety issue identified during the investigation was that the hook on the end of Mr Speirs’ tether had become caught under a deck cleat (see Figure 1), resulting in a lateral loading that was sufficient to cause the hook to distort (see Figure 2) and eventually release. The harness tether was certified under ISO12401 (Small craft – Deck safety harness and safety line – Safety requirements and test methods), which is the international standard applicable to this equipment. The standard contains detailed testing requirements that assume the tether and its hooks will be loaded longitudinally rather than laterally. 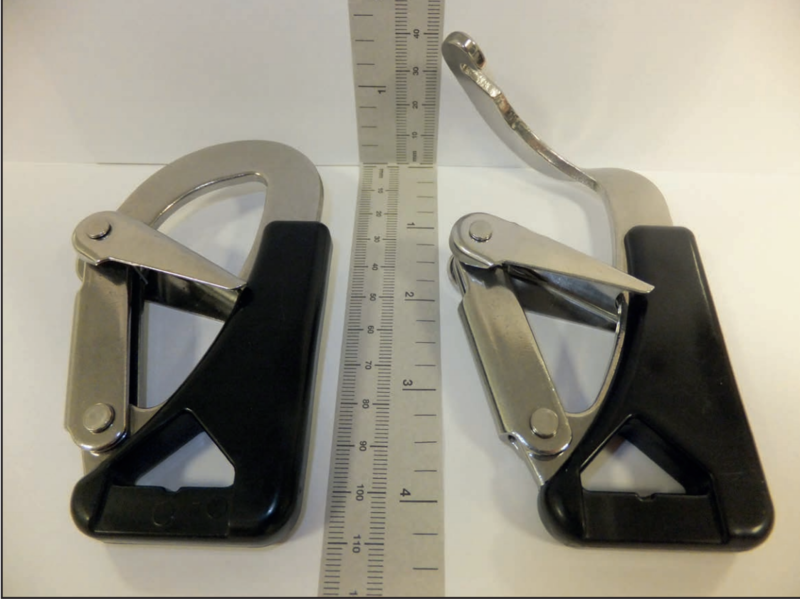 The tether hook was of a conventional design and quality of build, and was commonly used by manufacturers of safety harnesses and tethers that were certified under ISO12401. When loaded longitudinally, the tether can withstand a load of over 1 tonne. However, when loaded laterally a tether hook will deform at much less load. It is important that tether hooks remain clear of obstructions and are free to rotate to align the load longitudinally.